Broadway star Laura Osnes joins the Mormon Tabernacle Choir and Orchestra at Temple Square for their annual Christmas concert, filmed live at the Salt Lake Conference Center in December 2015 in partnership with KUED, Utah’s PBS Station. Taking the stage with Osnes is acclaimed British screen and voice actor Martin Jarvis. Under the direction of Mack Wilberg, music director of the Choir, and Ryan Murphy, associate music director, these powerhouse talents will ring in the holiday spirit for audiences young and old. CHRISTMAS WITH THE MORMON TABERNACLE CHOIR FEATURING LAURA OSNES AND MARTIN JARVIS premieres Monday, December 19, 2016 at 8 p.m. on OETA. 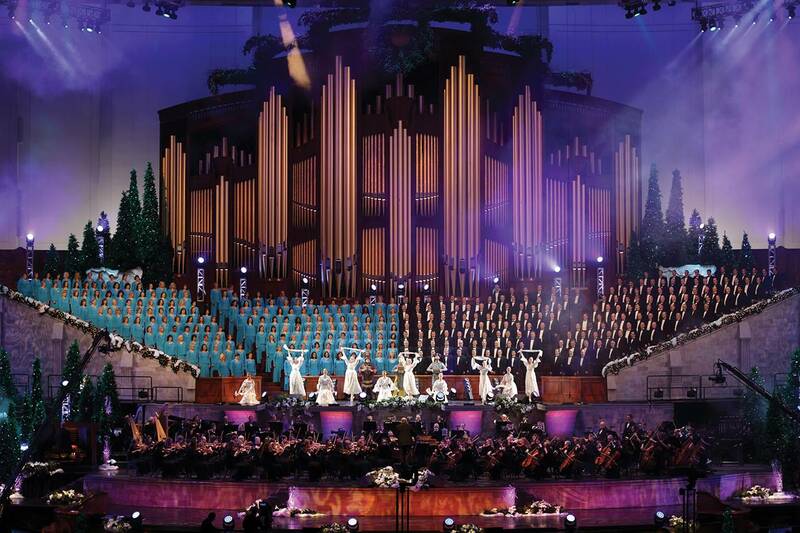 “This is an unforgettable concert,” said Ron Jarrett, president of the Mormon Tabernacle Choir. “Where else can you find such a depth of talent in all performing disciplines all on one stage? We were truly blessed to have had this fabulous ensemble of artists spend Christmas with us. KUED is Utah’s premier public broadcasting station, airing quality programs 24 hours a day. They offer the full PBS schedule, including PBS KIDS, the number one educational media brand; an instructional television block that meets core curriculum standards; and award-winning, locally-produced television programs and documentaries. KUED is recognized as one of the leading public television stations in the country. KUED is the first station to ever win the Rocky Mountain Emmy Award of Excellence for the Best Overall TV Station, a major recognition of the station's commitment to serve the community through its productions and outreach programs. KUED signed on the air January 9, 1958 and is a 501 c (3) not-for-profit institution licensed to the University of Utah.